All parents have the same question while dining out with their children: Is the benefit really worth the cost here? Staying seated, waiting for food and being mindful of other diners are big asks of growing kids. Going out to eat with kids with autism is no different. 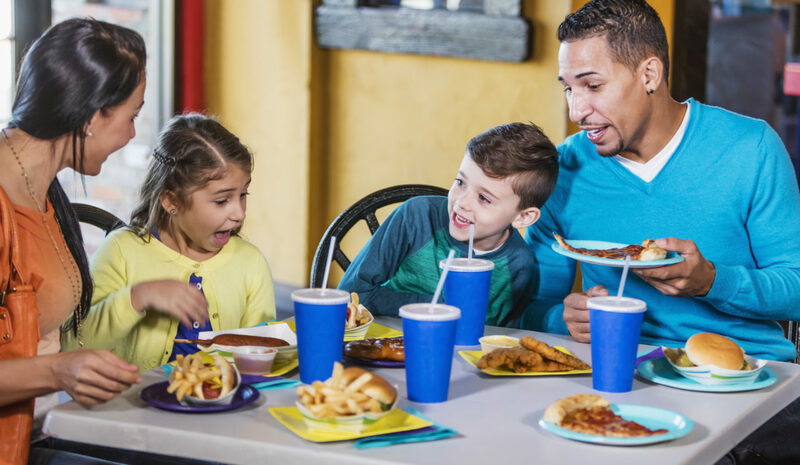 Trumpet Behavioral Health offers three tips for making the dining experience fun for the whole family. If you are going to a new restaurant, print out the menu ahead of time and help your child decide what he or she would like to eat. Visit the restaurant together during its slow hours before you plan on actually eating there. Be sure to bring favorite toys, games or books to help with wait times. Call ahead and make a reservation, or request seating that works best for your family. A booth next to a window, an outdoor table or a spot in a quiet corner might help your child feel more comfortable. Remember that the restaurant wants to create a great experience for its patrons, so don’t be afraid to ask for what you need. Going out to eat with kids with autism can be an opportunity to establish friendly relationships in your community. Children with autism find comfort in familiarity, so if you’re able to find a place that your child enjoys, try making it a frequent spot for your family. A regular table and a familiar server can be a happy retreat for parents and kids. Encourage your child to learn from the restaurant environment as much as possible. For example, help them use utensils, greet servers, make choices from a visual schedule, order their own food, use a public restroom or maintain an appropriate volume to the best of their ability. Going out to eat with kids with autism creates teachable moments, in which parents can improve their child’s functionality in the world, diversify their experiences and show them how to advocate for themselves in a public setting. Contact us for more advice on family outings for kids with autism.